Hunters Estate Agents Sunderland - a local family run estate agency with simple and clear pricing, no hidden fees, giving exceptional customer service to ensure your sale or rental is as smooth and hassle free as possible. Hunters Sunderland offer an exceptional service for both sales and lettings on a vast range of property in Sunderland and surrounding areas. The SR6 postcode offers a good range of properties, for the first-time buyer and buy to let investments, going up the price range to beautiful detached properties in the coastal and village areas. We deal with a wide range of customers and strive to meet their individual needs. The area offers a great mix of properties types and we truly feel there is something for every buyer. £50k first-time buyer flats up to £1m luxury homes are available but family homes in the £150k-£300k region are in great demand. Why choose us Hunters Estate and Letting Agents in Sunderland? We bring an enthusiasm and commitment to customer service that is unsurpassed. No other agent can match our proactive marketing approach to getting the very best possible price for your home or high-quality long term tenants for your rental property. We will treat your home like our own. 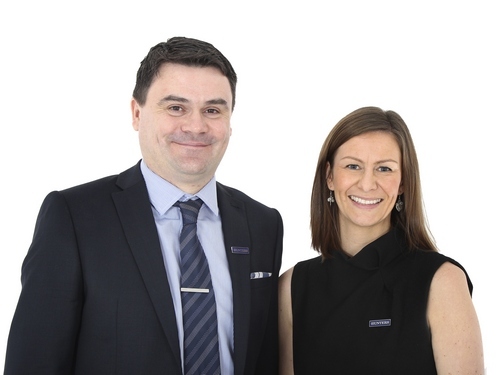 Call us for your free valuation or drop in to our office for a chat and we will sure be able to help you with any property enquiry that you have! VAT Reg No: 202 7990 13 | Registered No: 08996102 | Registered Office: 9 Bishopdale, Houghton Le Spring, Tyne and Wear, England, DH4 7SW. A Hunters franchise owned and operated under licence by C J Kelly (North East) Limited. Once the shipbuilding capital of the world and with a rich coal mining heritage Sunderland has a history to be proud of. These days the city is synonymous with market leading car manufacturing, a vibrant university and is a growing tourist destination for people who enjoy the miles of unspoilt beaches and countryside on offer. One of the biggest events in the Sunderland calendar is the largest free air show in Europe which takes place annually in July. Now in its 26th year it continues to attract hundreds of thousands of visitors to the sea front at Roker and Seaburn. Other attractions include the award winning Winter Gardens and Museum in the city centre, the National Glass Centre on the banks of the River Wear and standing proudly above the city, the 19th century Penshaw Monument. The much loved Sunderland Illuminations has also recently returned, turning the sea front and Roker Park into a winter wonderland much to the delight of kids and adults alike. For those growing families seeking the ideal area for their long term home, Roker, Fulwell and Seaburn continue to be the in demand places. The area around Sunderland University offers some superb investment opportunities for landlords, making use of the increasing amount of foreign students attracted to the city. Properties located on the sea front will always demand a premium with those stunning sea views highly sought after. Sunderland and the North East, in general, continue to be a hidden gem of a place to live in. Realistic property prices provide value for money for both buyers and tenants. Local schools continue to impress with Fulwell Infant Academy the latest to be awarded "Outstanding" status by Ofsted. Transport links are excellent with the Metro system, Newcastle International Airport and high-speed road links providing local, national and international connections. Direct rail links to London from Sunderland run five times daily. We strongly believe that Sunderland is a fantastic place to live and offers something for everyone. Beaches, parks and museums are on the doorstep. National productions of West End musicals and shows make regular appearances at the historic Empire theatre. Premier League football entertains thousands of devotees at Sunderland AFC's stunning Stadium of Light, which also hosts regular concerts from some of the biggest names in the business such as Bruce Springsteen, Foo Fighters and Take That. There is enough happening in Sunderland to keep anyone busy throughout the year but, if you still want more, a twenty minute drive can have you in the beautiful countryside of Northumberland or the ancient city of Durham with its awe inspiring cathedral and castle.